When you visit our office, you will be warmly welcomed and we can answer any questions you may have about completing the paperwork so that A+Plus Optique may see you. Our team will work together to evaluate your eyes and provide relevant eye care treatment information, review your vision benefits and payment options, fit you for glasses or contact lenses, and focus on exceeding all of your expectations. If at any time you have questions about the process or your specific health information, please ask. A+Plus Optique believes in providing the best value for you and your family. We have products and pricing that aims to accommodate all budgets and our office participates in most insurance programs. 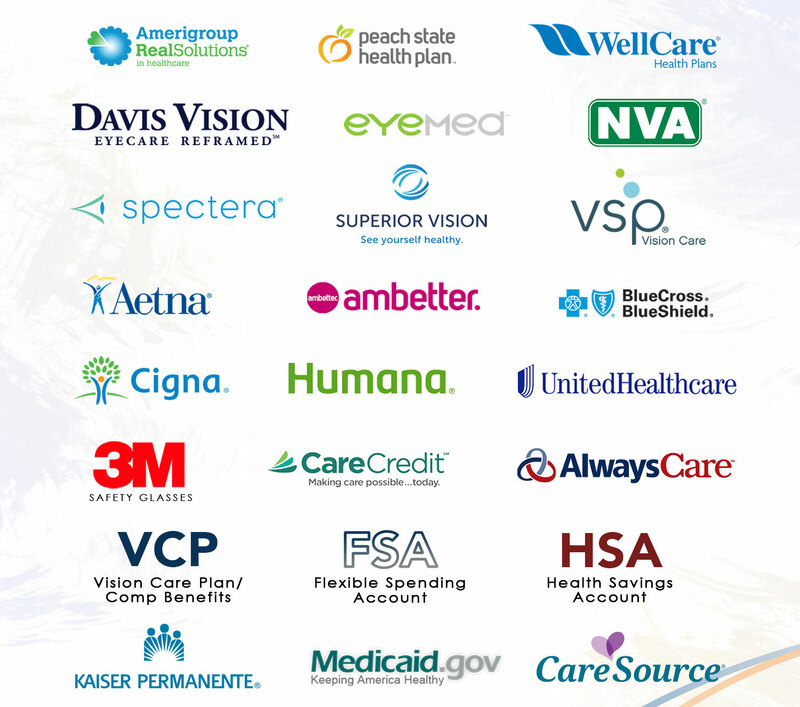 For patients who have little or no vision insurance coverage, flexible payment programs may be arranged. To learn more about our payment options, please call our office directly. At A+Plus Optique, we strive to provide you and your family with quality service and products. The ensure that you get the most benefit for your eyewear, we accept the following vision plans and health benefits. Military and AARP member discounts available! Do not see your insurance listed? Give us a call at 678-834-7411 to check provider eligibility and to get information on additional discounts up to 30% on eye exams, eyeglasses, and contact lenses.